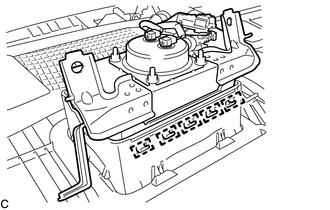 Be sure to read Precaution thoroughly before servicing (See page ). (c) Slide the 2 sliders to release the 2 locks, and then disconnect the 2 connectors. 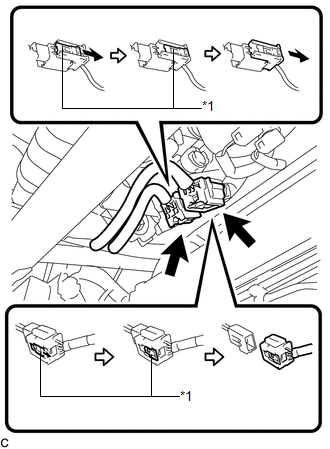 When disconnecting the airbag connector, take care not to damage the airbag wire harness. 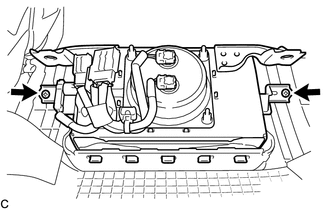 When storing the front passenger airbag assembly, keep the airbag deployment side facing upward. (b) Lean the instrument panel to disengage the 5 hooks. 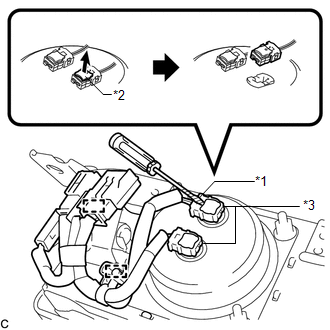 (c) Disengage the 5 hooks to remove the front passenger airbag assembly from the instrument panel safety pad assembly. (b) Using a screwdriver with its tip wrapped with protective tape, release the 2 airbag connector locks. 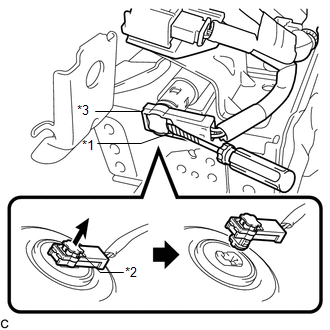 (c) Disconnect the 2 airbag connectors. 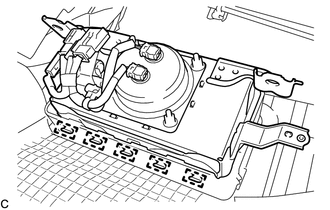 When disconnecting any airbag connector, take care not to damage the airbag wire harness. (d) Using a screwdriver with its tip wrapped with protective tape, release the vent hole connector lock. (e) Disconnect the vent hole connector to remove the instrument panel wire from the front passenger airbag assembly.